ServiceMaster Advantage understands that Houston fire damage happens unexpectedly and without warning. 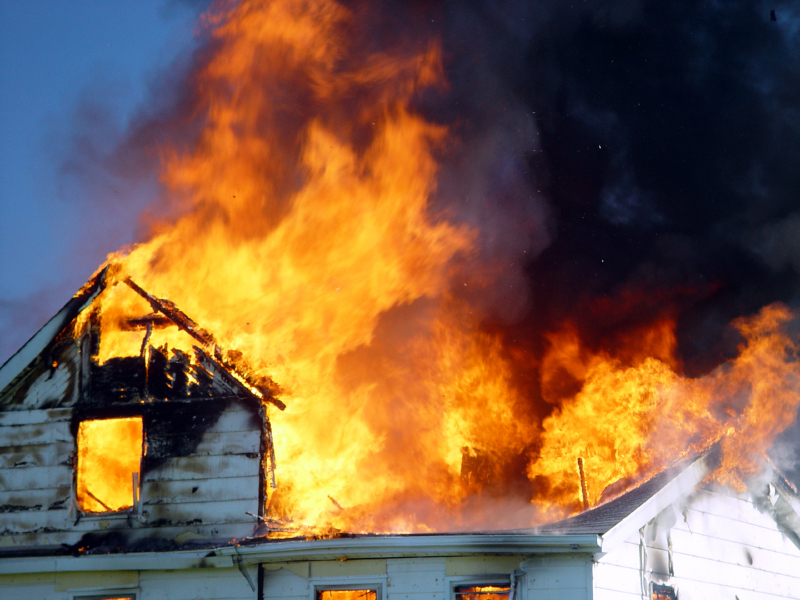 Even though the fire is out, you should not wait to mitigate. The longer the soot settles, the more damage that occurs. When something is burned, it is trapped as soot which can cause corrosion, etching and staining. No project is too small or big for us to handle. When you have experienced Houston fire damage, call the experts at ServiceMaster Advantage to help you restore your piece of mind. From packouts to tarping to securing your home or business, we can do it all. We know how important it is to protect your valuables after a disaster and we can help. We offer packout services and will safely pack, inventory and transfer your belongings to a safe, secure, climate controlled warehouse. While your belongings are in storage, our certified technicians will clean, deodorize and restore your belongings. Call ServiceMaster Advantage to have your home or business back to normal quickly and with minimal interruption. Our experts will finish the job rapidly and thoroughly. We assure total satisfaction leaving you one less thing to worry about. Our technicians go through comprehensive training and are fully equipped to handle fire disasters big and small. We are here to help 24 hours, 7 days a week to restore your home or office from Houston fire damages. Call us now at 281-332-3900. Fire Tips: What happens when I have a fire? What do I do when I have a fire? Area Rugs: Roll up to prevent additional soiling from walking on them. Refrigerator: If electricity is turned off, clean out your freezer and refrigerator. Leave the doors propped open or place charcoal in the unit. Clothing: Send clothing with heavy smoke damage to a qualified professional dry cleaner that specializes in smoke damage. Prevent Damage: Clean Formica and chrome fixtures in the kitchen and bathroom to prevent permanent tarnishing. Wipe residue from porcelain bath fixtures to prevent etching. Heating and Cooling System: change the air filter on your furnace if it uses forced hot air. Tape cheesecloth over intake and outlet air registers to capture any loose soot in the air. Odor: If the outside temperature is above 60 degrees, air out the house to reduce smoke odor. Do Not Wait: Call for professional help. Smoke and soot do more damage as they sit. Do not touch anything. Oil on your hands can permeate upholstery, walls, and woodwork, causing further damage.